“We are pleased to be working with Shopee as it allows us to reach out to its 16 million strong customer base. Through this, we are able to further provide greater value for our pizza-loving Shopeeusers with just one click away and this is very much in line with our promise of providing greater value and convenience to our customers. 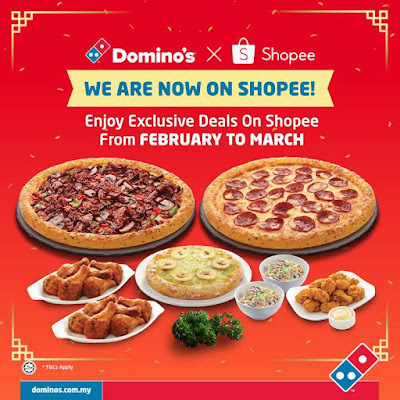 With Chinese New Year around the corner, and together with Shopee’sKongsi Fa Cai themed-celebration, the launching of Domino’s official store on Shopeeis timely as Malaysians can now enjoy Domino’s pizza with their friends and family as they celebrate the festive season or enjoy a good break. 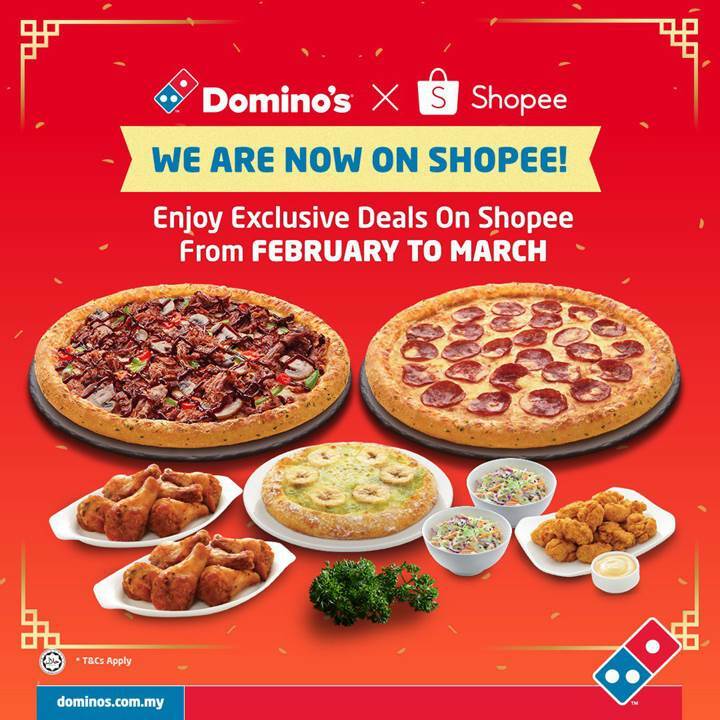 As the expression goes, ‘a family who eats together, stays together’,” said Linda Hassan,Senior Vice President of Marketing, Domino’s Pizza Malaysia and Singapore.